It doesn’t matter if you are visiting Dubrovnik for the first time or the one hundredth, or if you are coming to explore all that Croatia has to offer or taking a tour of the Game of Thrones franchise, the sense of awe you feel when you come here never fails when you set eyes on the beauty of the old town. The city’s white limestone streets, baroque buildings and the endless shimmer of the Adriatic Sea will make you fall in love. When you walk along the ancient city walls that protected a civilized, sophisticated republic for centuries, you will almost feel as if you were there to experience it. Although the shelling of Dubrovnik in 1991 horrified the world, the city has since bounced back to enchant visitors once again. Watch how the light dances on the old stone buildings, trace the past of Dubrovnik in museums loaded with art and artifacts, take the cable car up to Mt Srd and then plunge into the azure sea when your exploring is done. When you visit Croatia do not expect it to be similar to Italy, despite the fact that both countries stretch along the rocky beaches right across the Adriatic Sea from one another. Croatia is a place unlike any other that it would be wrong to compare it to any other place. They are a people proud of its long history and traditions, filled with grand palaces, walled cities, and perfect coastal villages. It is a young country still sorting out its identity in some ways but a longstanding, distinctive local culture still endures. The best old city in Croatia is Dubrovnik, in the middle of the Dalmatian Coast. It is known as the Pearl of the Adriatic and is a place that is medieval, mythical and magical. The walled-off Old City, parts of which date from the 11th century, is intact despite the fact that it was a major trading center and one of the wealthiest cities in southern Europe and was, therefore, fought over. Its Slavic people fended off the Venetians, Ottomans and other empire builders in order to remain an independent city-state. An 800-year-old Gothic church and Europe’s oldest pharmacy are some of the landmarks inside the 16th-century walls. If you were alone in the city, an afternoon wandering the Old City’s cobblestoned streets would feel like going back in time. Although Croatia has existed as Croatia for only 25 years, its people are very proud of their homeland. They claim to have the best: the best wine, the best seafood, the best olive oil, and the best vegetables. They aren’t entirely wrong. 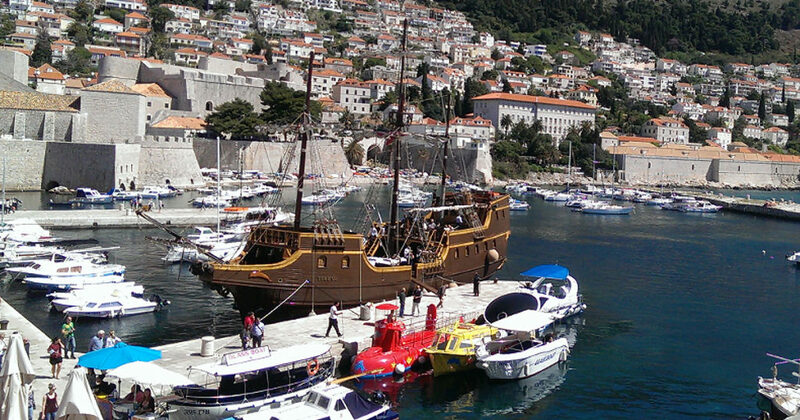 The atmosphere, passion, and wonder of Dubrovnik have fast become a tourist destination. It is undoubtedly helped along by the popularity of the Game of Thrones, much of which is filmed here. Come for the beauty of Croatia, stay for the amazing tours and local spots to venture in. There is so much to see in this gorgeous city that you will never want to leave. Come see what’s inside Dubrovnik. It’s waiting for you. We had an amazing day with Tomislav, he was friendly, knowledgeable and very kind. We felt very comfortable with him and he looked after our small group of 8 very well. We would highly recommend Tour the Game of Thrones and this particular guide.